The Short Stay Unit was built as part of the redevelopment of the Goulburn Valley Hospital in Shepparton. It is designed to receive and monitor patients for up to 48 hours who present with a range of symptoms that may not result in immediate diagnosis. It provides an intermediate area of patient care, which is fully staffed and monitored, providing medical staff with more flexibility to diagnose and treat patients or transfer them to other treatment areas including the adjoining emergency department if required. 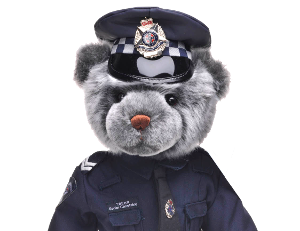 This project was undertaken as a joint partnership between the Victoria Police Blue Ribbon Foundation and the local community through the Shepparton Branch. Funding of $250,000 was provided to create the Short Stay Unit and for works in the emergency department. The Short Stay Unit at Goulburn Valley Hospital was dedicated as a Police Memorial in memory of First Constable Ray Denman who was murdered on 3rd May 1964. On Sunday 3rd May 1964 Constable Denman received a call from a distressed woman who reported that her boyfriend was armed with a shotgun and was trying to beat down her back door. Constable Denman responded and went to the rear of the house where the offender fired upon him with the shotgun, killing him instantly. The dedication of this memorial was a proud moment for Constable Denman’s daughter, Gail, who works at the Goulburn Valley Hospital.